The tragic Parkland school shooting on Feb. 14, 2018, in which 17 people lost their lives, led to an increase in youth advocacy for gun reform and was a catalyst for a new youth movement across the country. Out of the tragedy rose the student-led coalition March for Our Lives, which organized peaceful protests across the country and fought to end gun violence in the months following the tragedy. Samuel Krost, 26, was inspired by March For Our Lives in 2018, and looked for his own way to contribute to the movement. The New York University graduate, who studied business management in school and racked up extensive experience working in the fashion industry, bumped into one of his friends from school, Scott Camaran, in the weeks after the Parkland shooting. The two got to talking about how they could make an impact. Like Krost, Camaran had worked in the fashion industry for several years, and also worked professionally as a model. 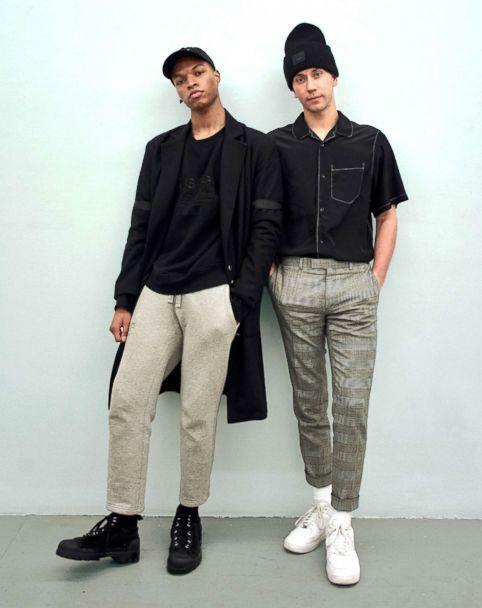 The duo had already been mulling over ideas for a potential fashion collaboration, but wanted to mold their concept around the inspiring messages and activism youth leaders were creating. Out of their similar tastes and desire to contribute in a unique way, the fashion label Krost was born. "Throughout my time in college, especially being in NYU in New York, seeing everything that was happening in the present climate of the world -- the Black Lives Matter movement, the #MeToo Movement, women’s rights movement -- there was just so much happening in society," Krost said. He shared that he was inspired by student leaders who came together to forge a safer tomorrow after the Parkland shooting. "I was determined to become as involved with the youth as possible -- but at the time I was 24-years-old and wanted to start a career for myself. I started asking myself how can you combine these two ideas and create something that’s bigger than just yourself?" he said. Krost and Camaran, both activists in their personal lives, started working through brand strategy, brand messaging and building a team. The label officially launched in November 2018. Because the March For Our Lives movement was such a strong influence, Krost wanted to make the connection between his brand and the group official. "March for Our Lives was the inspiration that moved me to go and try to create this company, so to not have an official or tangible relationship with the organization that was spearheading the idea behind the brand felt inauthentic for me," he said. He added that, he felt he needed "to show that we aren’t just using social responsibility as a ploy -- that we’re actually implementing it into the core of the brand itself." The process of proving that through committing to a partnership proved to be more time-consuming than Krost and Camaran thought. "The organization was quickly evolving ... and it was becoming more and more difficult to get in touch with them," he added. "But we were determined to do so." When they were put in touch with the proper point of contact, Krost and Camaran said the group was receptive to collaborating. "I think that when we were speaking with the students from March For Our Lives, to show how much of an inspiration their organization and everything they’re doing -- and how quickly they formed -- they were super grateful that their organization was having an impact on other people," Krost said. The duo eventually finalized the partnership with March For Our Lives, making their label the group's first-ever fashion partner, in the summer of 2018. Krost announced the news of the collaboration the day before the brand's official launch in November. For their first collaboration with the group, Krost teamed up with Montreal-based branding agency Nouvelle Administration to create a $60 T-shirt to honor the 17 lives lost during the Parkland shooting. One hundred percent of the proceeds from shirt sales were donated to the March For Our Lives organization. The team looked to influences like 1960s youth activism and flowers as a sign of peaceful resistance to create the final product. The T-shirt featured flower petals to commemorate the dead, and the phrase, "save your friends." "The 1960s -- a decade marked with riots, protests, segregation, the Vietnam War, anti-war ideas -- it was the last generation that the youth again came together to forge a different tomorrow," Krost said. "Unfortunately we feel like things have come full circle with everything that's happening in the present climate of the world," he continued. "Our design inspiration thus far for Krost has been 1960s students and peaceful protests," Camaran added. "I think this parallels especially with the inception of March For Our Lives." The phrase "save your friends," featured on the shirt, played off Krost's signature slogan "support your friends," which is another cornerstone the brand is built around. The slogan stands for community building and lifting up your peers. "What’s most important with this brand is -- when you think of Krost, when you think of ‘support your friends,’ I want you to think of the story behind it," Krost said. "I want you to think of the community we’re trying to build, and that’s the biggest takeaway from March For Our Lives -- the community they were able to build." "With March For Our Lives, you see how quickly they built a community based on this idea -- simply put, 'Hey, we don’t like guns,'" he added. "That was the drive behind them trying to create real tangible change within legislation and within society. That’s the idea of community that we tried to build this idea around." The label was also careful as to what day would be appropriate to release the T-shirt. "We didn’t actually release the tee for sale until four days after Feb. 14. We officially released it on the 18th," Krost said. "Not using the 14th as a day to actually fundraise -- more so a day to commemorate those that lost their lives on that day." 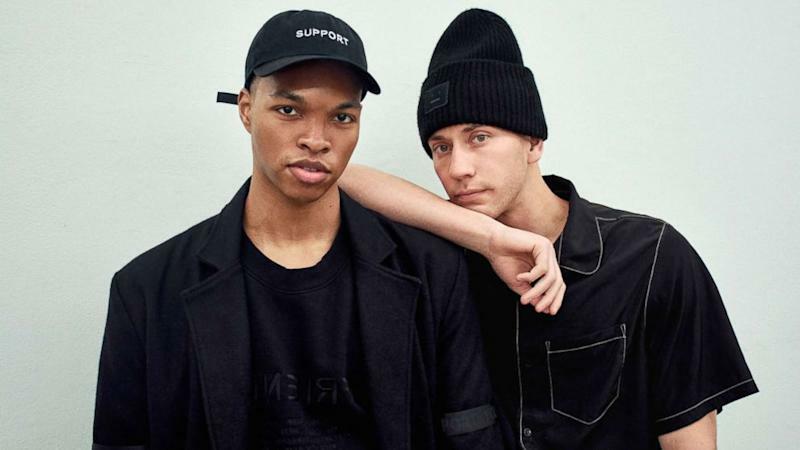 The label, which produces all of its products in the U.S., is planning to release parts of a second collection, dubbed their "second semester," starting in April. They are committed to continuing to incorporate social change into the brand. "March For Our Lives is obviously the biggest inspiration behind the brand’s story, but we don’t want to stop there," Krost said. "There’s a lot of internal discussion on how to challenge ourselves -- how to look at what’s currently happening in the world today that we can put our support behind." Issues like mental health, bullying and suicide are just a few of the ideas they are interested in raising awareness about. Krost and Camaran plan to work with other organizations to bring awareness to other societal issues in their third and fourth collections, which they will call their "third and fourth semesters." They also hope to expand to other product categories, and potentially an art or film series, to bring awareness and financial support to causes that are important to them.